There’s a brand-new destination for craft beer lovers in Detroit, and the owners are thinking “small.” Batch Brewing Company, the area’s first nano-brewery, is set to open at 4:00 p.m. February 12 at 1400 Porter Street – just down the road from the old Tiger Stadium and a stone’s throw from nationally recognized Mudgie’s Deli in Corktown. 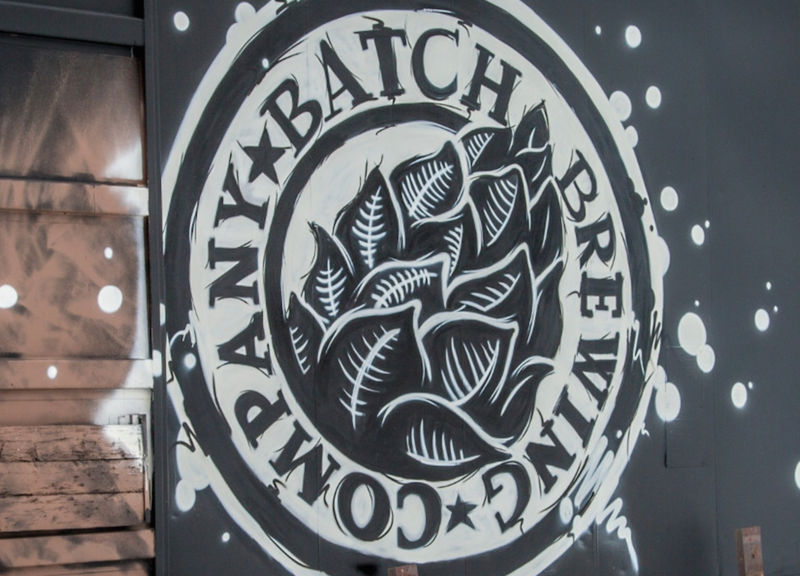 The idea to open Batch Brewing Company was several years in the making. In August 2013, the group won $50,000 in seed money to start their business through the Hatch Detroit retail contest. The four partners invested a lot of time and hard work along with that money to get the brewery where it is today. 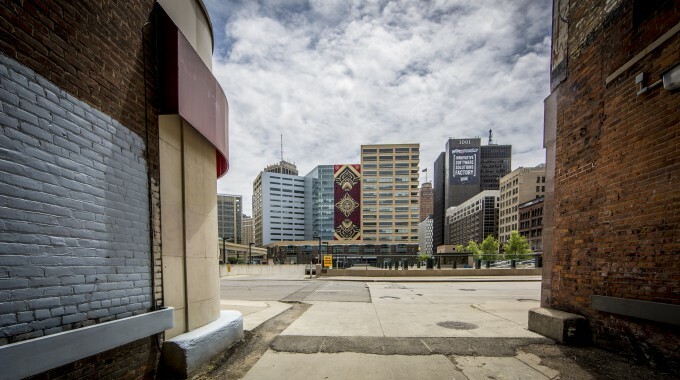 The renovations stayed true to the building’s past and its Corktown roots. Once known as Porter Street Station in the 1980s, the location was a must-visit grub stop for all Tigers home games. On any given night, you might walk in and find 1984 World Series champions Kirk Gibson and Dave Rozema tending the bar. 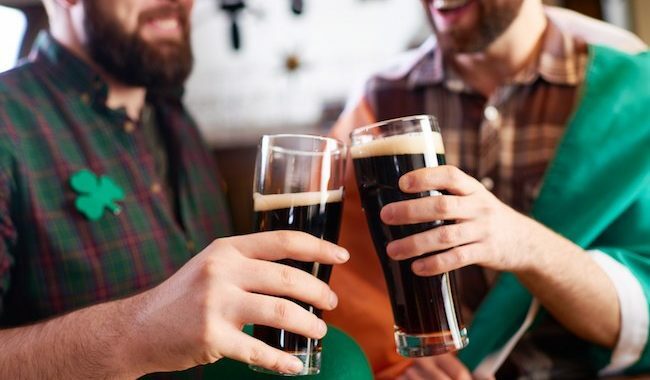 Now, 1400 Porter Street is coming back to life as a place where good food, beer and conversation meet in what Thrillist recently named one of the top 18 food neighborhoods in the country. “Patrick [and I] make the beer, Matt makes the food, and Jason makes the people happy,” Stephen explained. Patrick and Stephen have a refreshingly open-minded approach when it comes to their creations. 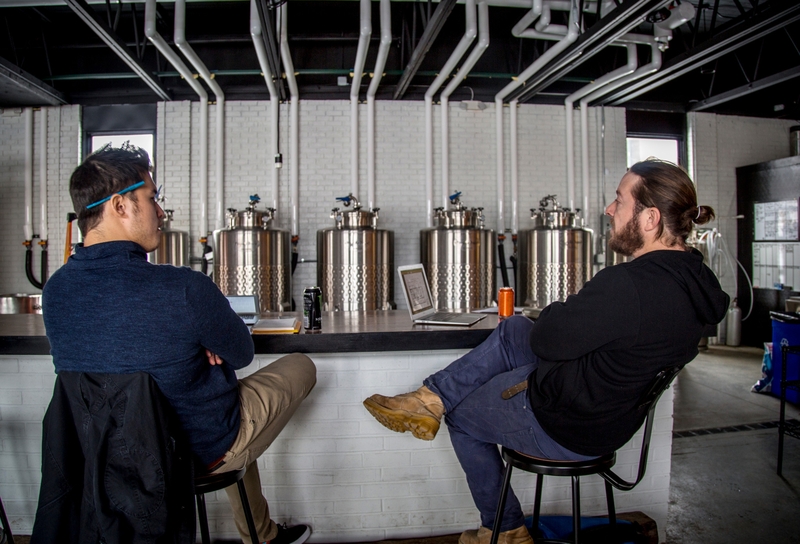 Their beer inspiration is spontaneous, often being finalized the morning of the brew date. Sometimes they’re still discussing ingredients as they warm up the machines – and they love having no boundaries. An old-school, blue-collar feel sets a positive vibe when you walk into Batch; the open floor plan provides a clear line of sight into the kitchen and the inner workings of the bar area. A long wooden high-top bar stretches through the center of the room, providing comfortable seating and a “community” feel. The back wall is lined with a walk-in cooler. Center stage is the glossy chrome brewing equipment, which adds an industrial feel. There are no TVs, guaranteeing good conversation. The owners guarantee good food, too! Head chef and co-owner Matt Johnson, a Detroit native who recently moved back to the Motor City after 16 years in Tennessee, has a background in high-end French cuisine. He promises food and beer pairings you won’t find anywhere else. The menu could change weekly or even daily. Special dinners and events are also being planned. Ingredients, including smoked fish, braised pork belly and other items, are purchased locally at Detroit’s Eastern Market and elsewhere. Finger foods, beer pretzels and vegetarian options will also be rotating on and off of the menu. 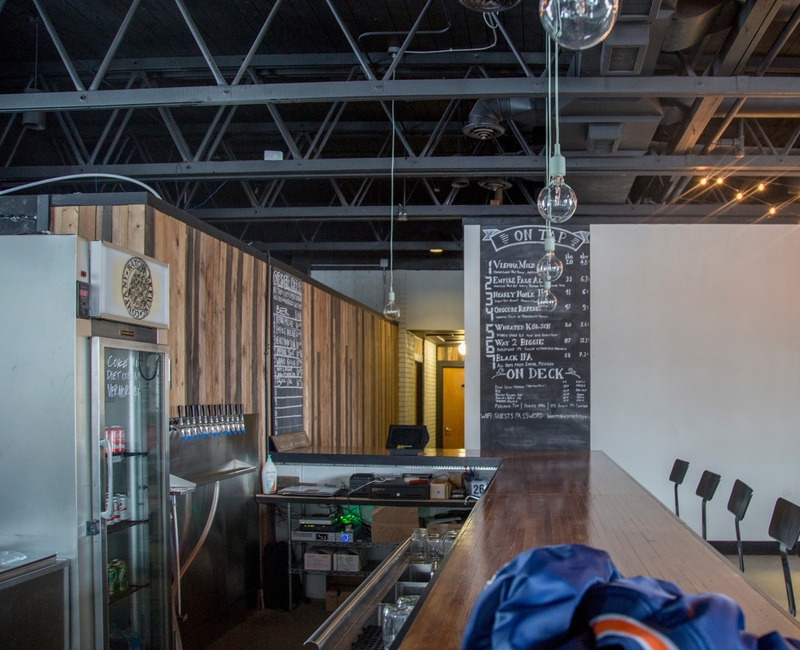 Batch Brewing Company will be open six days a week. The hours are Tuesday through Thursday from 4:00 p.m. to 11:00 p.m., Friday and Saturday from 4:00 p.m. to midnight, and Sunday from 4:00 p.m. to 11:00 p.m. For more information, visit BatchBrewingCompany.com.